Puck-moving defenseman Charlie McAvoy announced his commitment to Boston University Tuesday via Twitter, becoming the fourth player to commit to BU under new head coach David Quinn. The earliest McAvoy will arrive on Comm. Ave. is 2015, though what year he will actually come is unclear. McAvoy, who was born in 1997, was named the Offensive Defenseman of the Year in the Metropolitan Junior Hockey League after leading defensemen in scoring with 43 points (12 goals, 31 assists) through 34 league games. The Long Beach, N.Y. native scored 10 points (three goals, seven assists) in eight playoff games for the New Jersey Rockets, which was tied for the team lead. 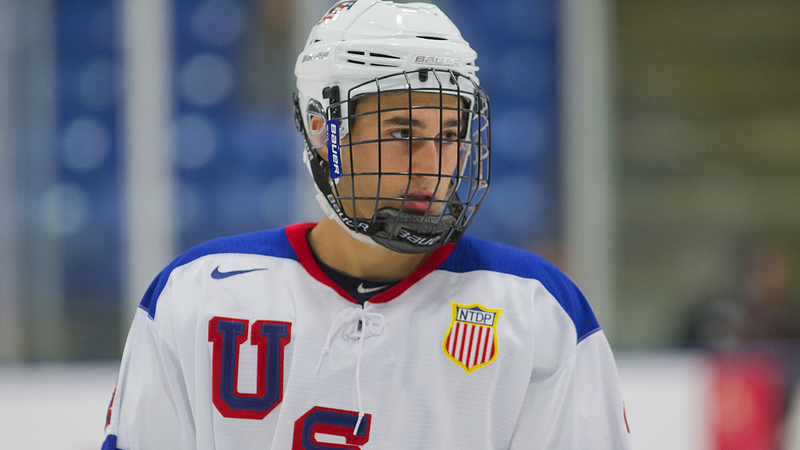 This season, McAvoy will play with the U.S. National Development U-17 team, which is the same program offensive defenseman Matt Grzelcyk played with before joining the Terriers. Fellow defenseman recruit John MacLeod spent the 2012-13 season with the U.S. U-17 team as well. McAvoy, a 5-foot-10, 170-pounder, had been selected 113th overall by the Kitchener Rangers in the 2013 Ontario Hockey League Priority Selection.